I have always believed that Grandparents are a vital and very important part of a child's life. This naturally stems from the wonderful experience I had with my own Grandparents, growing up. My Mum's parents and my Dad's Mum were very much a part of our lives when we were children (and they still are today) - almost all school holidays involved a trip on the train, with mum, to visit Grandma and Granddad at their house in Northamptonshire, and again in Wellingborough when they moved as we got older. We would be so excited to go - have such a fantastic time there - and be so sad to leave. At our Grandparents house we had our own little rituals and our own 'world'. We played games that we only played at their house. Things we did that we only did with them - and not to mention Grandma's cooking - yum! It also gave Mum time to relax a little; being a single parent was hard for her - and as a mother now, I really don't know how she did it. Dad always saw us and spent time with us, but it isn't the same as each parent having one another to lean on for support. I do want to say here though, that it is important that Grandparents themselves do not make selfish demands of parents and their children. It is hard enough being a parent of small children without feeling you're pressured by grandparents because they feel 'entitled' - things have to fit in with the parents and the children first, as they are the ones with the most juggling to do. 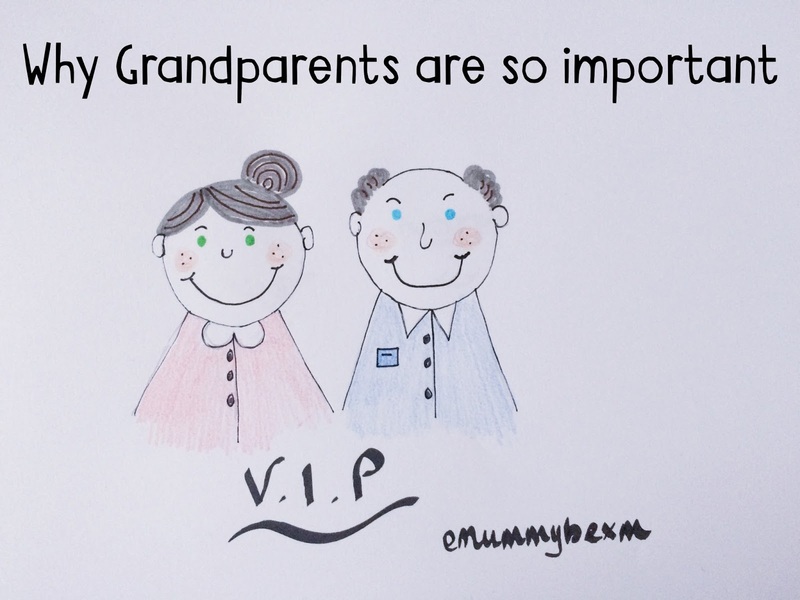 However, I am often surprised when I see or hear of parents who don't involve the Grandparents - why wouldn't you? They play a vital role in our children's lives - and in your lives as parents. They can offer so much to you and your child, that it seems silly not to utilise this fantastic resource. So, why are Grandparents so important? Grandparents are vital in ensuring that children see a range of roles within the family. This is important in allowing them to shape their understanding of what different families look like. Grandparents help children to learn about family history, other relatives, traditions and memories of you - the parent as a child. Children love to learn about their parents as children, because it helps them to see you as real human beings and not just the authoritarian or the money bank! Not only that - but practically - Grandparents can help with day-to-day family life. They may cook meals, babysit or even be opportunities for childcare to help mums and dads go out to work. Grandparents play a vital role in offering emotional support to grandchildren and you as parents. They are their to offer support, empathy and reassurance when times are difficult or confusing. Children will often confide in grandparents when talking to parents seems to be too close. Grandparents are able to see a different side to children, as they have a different level of relationship with them - there isn't the consequences associated with 'when we get back home' and this allows children to feel freer, and more creative. This strong emotional relationship helps set models of positive and healthy relationships with others. The understandingchildhood website states that, 'Relationships beyond the immediate family (mother, father, brothers, sisters) can make a positive contribution to children's emotional development and sense of themselves. An independent and developing relationship between grandparents and grandchildren is invaluable for everyone'. Grandparents often have a wealth of knowledge and real-life experiences to share, that no books or lessons can teach. Grandparents are often able to help children understand things in a way that sometimes a busy parent might not have time to clarify. Or, they may be able to draw on experiences they've had to share with a child that you, the parent, may not have. In addition, Grandparents may often have the time and money to take children out for experiences that may not be possible for parents to do. For example, visiting zoos, museums, going on holiday etc. These experiences provide children with a richness in life that will embellish their ability to be creative and enhance their chances of doing well at school - because they will have a wealth of experiences of their own to draw on. Sharing their interests - perhaps they are keen painters (like my granddad) and want to teach your children too? After all of this, you really can't be in any doubt about how important our Grandparents really are. They are vital. We must ensure we preserve and make use of this invaluable resource - and keep them included. As grandparents get older, it is even more important to be there for them too, and keep them connected. You may be the only few people that they get to see, to talk to or to spend time with. So make the most of it. In fact - I'm going to send my own Grandma a text right now - telling her how much I love her and my Granddad. Same for my Nan. *This has also been my first ever post linked up to the #SundayStars linky via Steph who write the brilliant Diary of a Midlife Mummy. 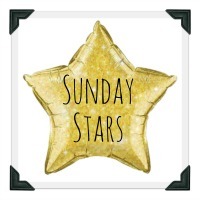 Honey - this is a fabulous post and we're thrilled to have you come and link it up with us at #sundaystars I for one would not cope if it weren't for the help (physically and emotionally) from both sets of the girls grandparents! They are fabulous and as you say - a vital part in the 'family' unit. So well written. Can't wait to have you link up again next week (wink, wink!) (and to My Captured Moment by Heledd at Running In Lavender on a Thursday - go check it out - that's fab too!!) Thank you again, Steph PS: Happy Easter! !